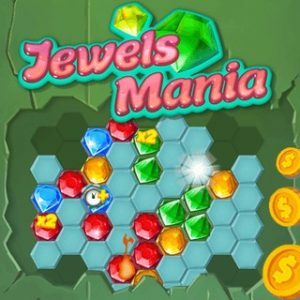 Match 3 Jewels Mania Game. Match at least 3 hexagonal jewels in a line and try to beat all 50 levels in this challenging Match3 game! if you love match three games then this one will be a cool game!